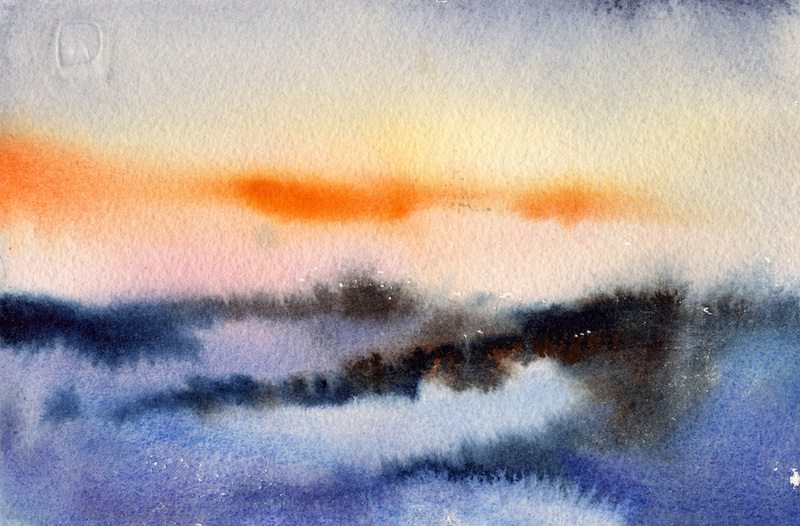 Being both an early riser and a plein air painter, I tend to be up and out early. In the winter, one doesn’t have to be out very early to see the sun rise. So, I’ve seen many winter sunrises. Although most of my work is done ‘en plein air’ these days, I still do a good bit of studio work. The studio work tends to be more abstract, wet-into-wet statements. This little piece is one of those. Although small in scale, it has an outsized visual and emotional impact.